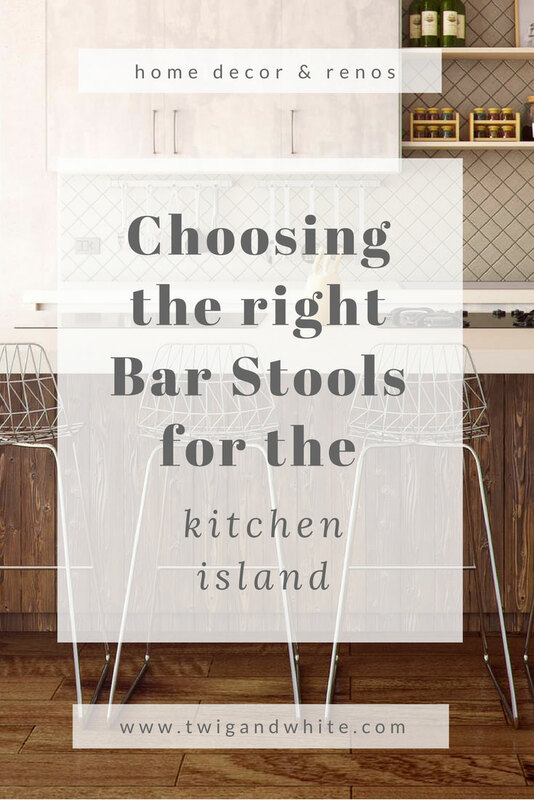 Choosing the right bar stool options for your kitchen island can be a little tricky. Finding the right style, height, balancing quality and cost as well as comfort can all make the final decision harder than you’d anticipate. With our kitchen project nearing the end, B and I have started talking about the stools for our island. While B is thinking more of a simple stool with no back, I’m leaning more toward finding something that is at least somewhat comfortable because I can see myself hanging out there for more than just a quick breakfast. Our kitchen design feels a little farmhouse, a little industrial and a little modern all combined, so when it came to stools I didn’t really think I had anything special in mind. When I started looking for options, I found myself drawn mostly to options that have a more industrial feel. Plush options with backs seem like they would be more comfortable but I really like the idea of having the sight lines more open and unobstructed by tall stool backs. 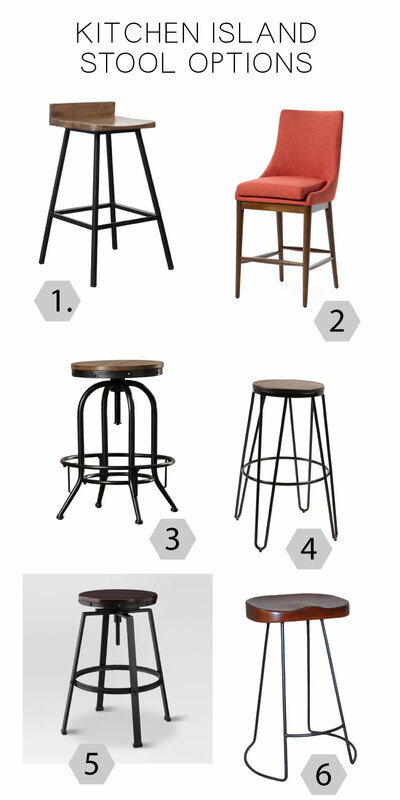 While I did find one backed stool that I like with a mid-century vibe, my tastes are pretty consistent so today I’m sharing a round up of my top contenders and maybe inspire your own choice for industrial farmhouse style stools. While we haven’t made up our mind yet on the final decision, I’m personally leaning toward option 1 or option 5. I would love to get your option or maybe the criteria you’d use to pick stools for your own kitchen.